World leaders got an on-the-nose reminder of the impact of coal on public health as they arrived at COP24. Data collected by the European Environment Agency (EEA) shows Katowice, Poland, was the second most polluted city in the EU in the week leading up to the COP. Concentrations of particulate matter (PM) 2.5 averaged 47 micrograms per cubic meter over Katowice during the week leading up to the conference, twice as high as the WHO guideline for a 24 hour period, and topped off at the unhealthy level of 59 micrograms per cubic meter on Saturday as delegates started to arrive at the UN climate conference. PM 2.5 can be produced by burning liquid and solid fuels, including coal. It can have a range of negative health impacts, with some research linking it to heart failure, as well as dementia and alzheimers. There is no safe level of exposure to PM 2.5, but the higher the concentration, the more consequential the health effects. Poland is heavily reliant on coal and Katowice is in the heart of the nation’s coal country. 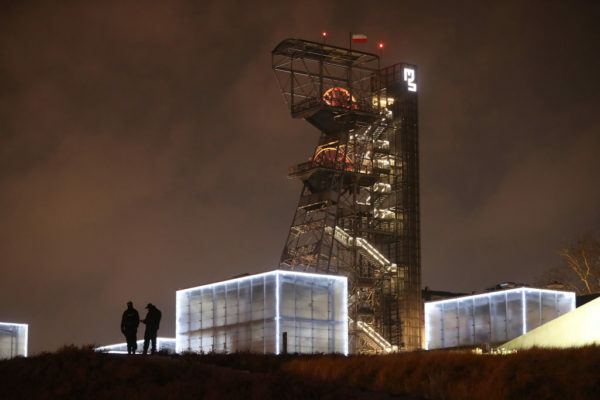 There are about 90,000 coal workers in the region of Silesia, where Katowice is located. Overall about 80% of Poland’s electricity is generated from coal and millions of households burn it for heating in the winter. The nearby Polish city of Kędzierzyn-Koźle is currently the city with the highest concentration of PM 2.5 in the EU, recording 50 micrograms per cubic meter in the previous week. Overall, the list was topped by cities in Czech Republic, Poland and Northern Italy. In 2017, of the 445 cities that report data to EEA, Katowice was the sixth most polluted city in the EU. So far in 2018, it’s fourth. But pollution levels in Europe still pale in comparison to concentrations of PM 2.5 in some parts of Asia. Last week, in Beijing concentrations of PM2.5 stood at 92 micrograms per cubic meter, according to government data. Outside the EU, air pollution monitoring is patchy around the world and there is no real time global dataset, making it difficult to make accurate comparisons – such as between London and Delhi for example – about pollution levels on a particular day. With the conference taking place in one of Europe’s top coal-producing regions, it’s likely that the fossil fuel will be a key talking point during negotiations in Katowice. Climate activists have repeatedly called for coal to be phased out in Poland. The country’s right-wing Law and Justice party has found itself walking a tightrope of celebrating one of the country’s major industries on the one hand, while embarking on a campaign to address air pollution on the other. The government has announced it will spend $8.8 billion by 2028 trying to tackle the country’s smog problem, according to a report in the New York Times. COP24 is due to go on for about two weeks, with delegates from 200 countries looking to get agreement on a “rulebook” to flesh out the broad details that were agreed at the Paris summit in 2015.